Time to keep it cozy with these key ingredients that make these seasonal pizzas great. 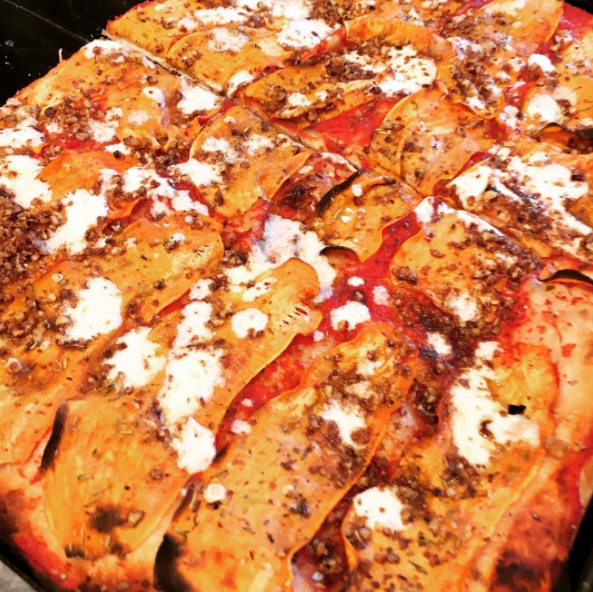 Just when you thought you’ve seen pumpkin spice everywhere, Nunzio’s Kitchen creates an ultimate game changer: Pumpkin Spice Pizza. With a sweet pumpkin base, the pizza is topped with lightly fried zucchini, ricotta cheese and walnuts. Located in downtown Charleston, this carry-out-only joint has weekly specials using the freshest ingredients of the season. 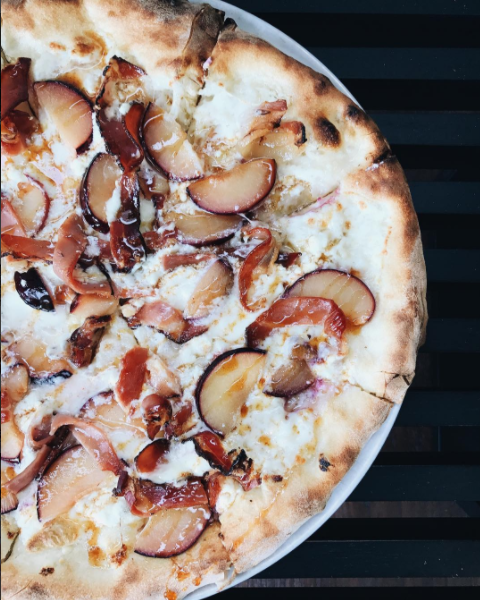 This sweet and spicy pie includes mozzarella, goat cheese, speck, black plums and spicy honey. Tis the season for sweet potatoes. Calabria Pizza in Brooklyn has just that, but kosher style. 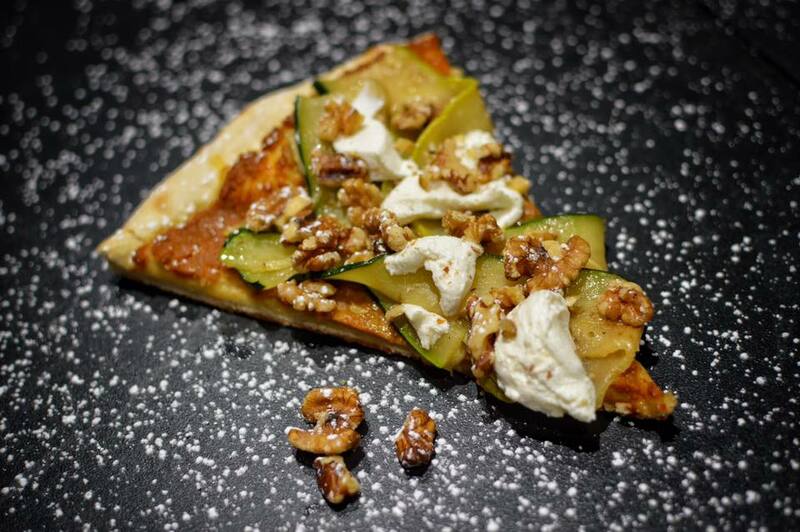 Toppings include sliced baked sweet potato, fresh mozzarella, Parmesan cheese, pecans and extra virgin olive oil. Take the sweet flavors of autumn with this pizza pie. Ingredients included are fire roasted red sauce, bacon, fresh sliced apple, spicy cherry pepper & cheddar cheese. It’s never too early for Thanksgiving, right? 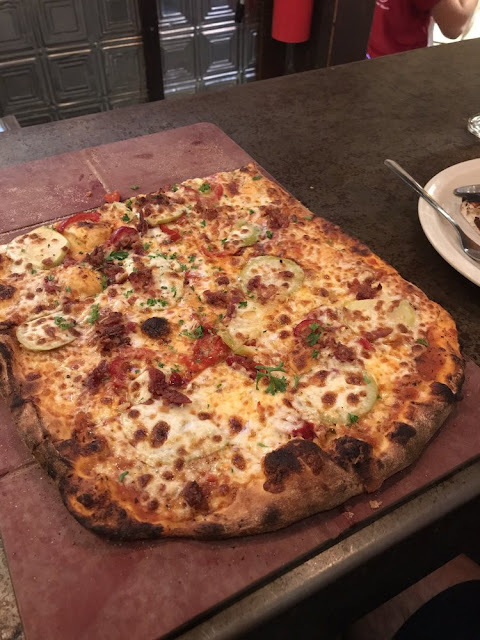 Nunzio’s Kitchen does it again with the Country Style pizza. 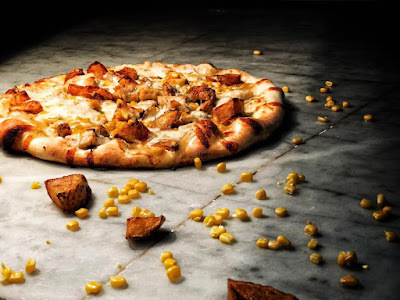 Toppings include roasted potatoes, chicken, corn, gravy and mozzarella cheese. The Country Style makes for the hearty meal after a day out. As you transition from the warm summer weather into autumn, enjoy these seasonal flavors on your pizza. Have a favorite autumn pizza? Feel free to comment below. Yum!! Sweet potatoes on pizza!? Yes please!